Sigh. It was announced a few weeks ago. Another closing, another goodbye to SL. 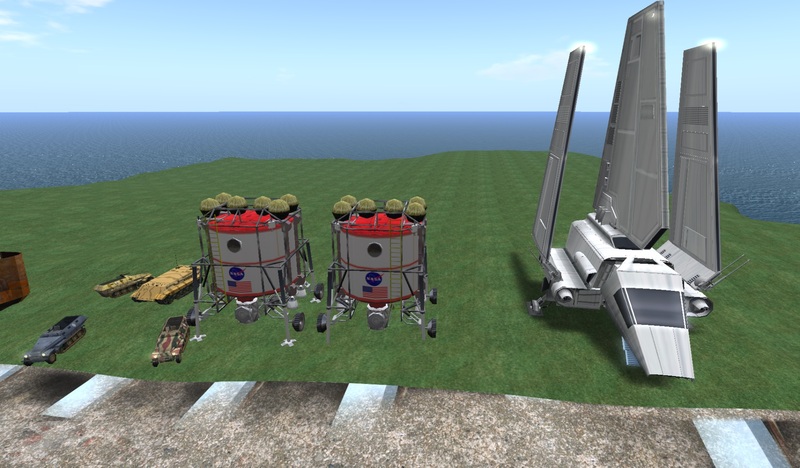 This time the IBM Exhibition Space sims closed. I’ve been to most of the exhibits there, truly fantastic works of art. The Search for the Sy, Rabbicorn and so many other great exhibits. I LOVE the Rabbicorn. But to every thing there is a season, and a time to every purpose under the heaven. 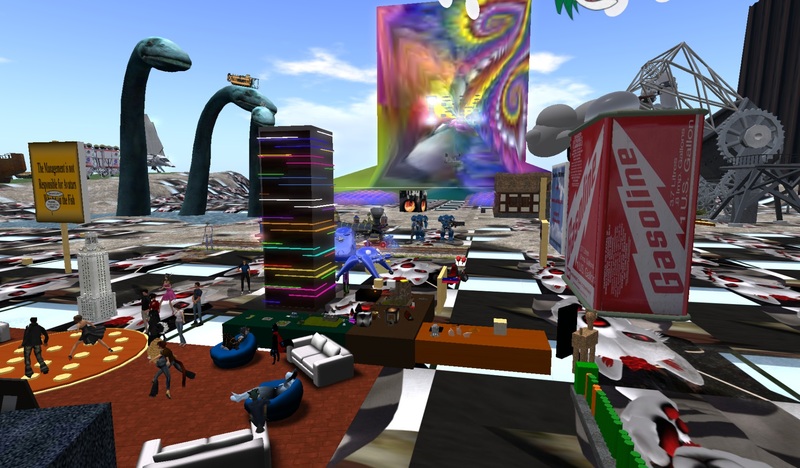 I am grateful to IBM, to Tezcatlipoca Bisiani and PatriciaAnne Daviau for the art, the sandbox and the wonderful times. I met so many talented and helpful people at that sandbox. The art simply took my breath away. These sims and the opportunities they offered will be missed greatly. But Tez and PatriciaAnne are not ones to pack their tents quietly and steal off into the night. Oh my no. *grin* When they have life transitions, EVERYONE gets to share. So there was a 12-hour farewell party yesterday. 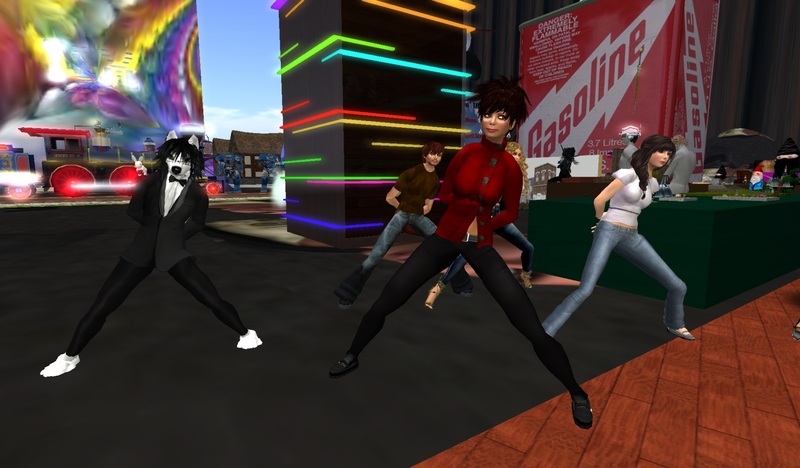 Great live music, great DJ’ing, fun chat, dancing. And yes – you KNOW it was a good party because we crashed that sim. HARD. VERY HARD. *grin* It took multiple logins and reboots to finally get all the way back to the party. 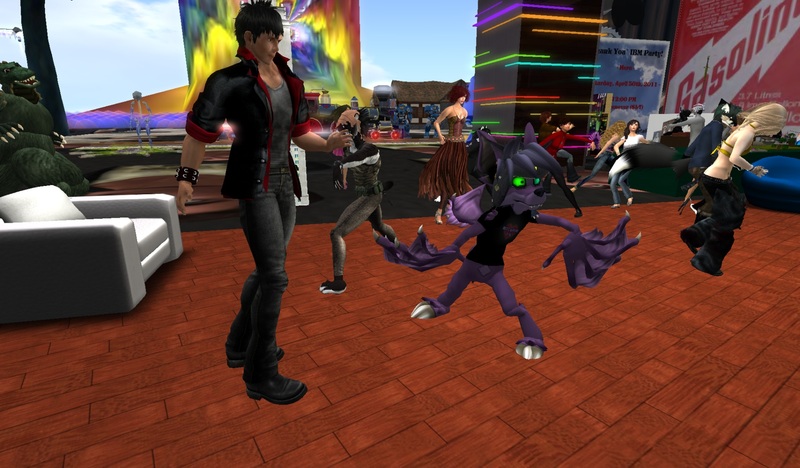 Because the party, of course, didn’t stop for anything as minor as a sim crash. I took many many photos, trying to save memories of all the cool builds that were there. Other folk were doing the same. So many people dropped by during the farewell. 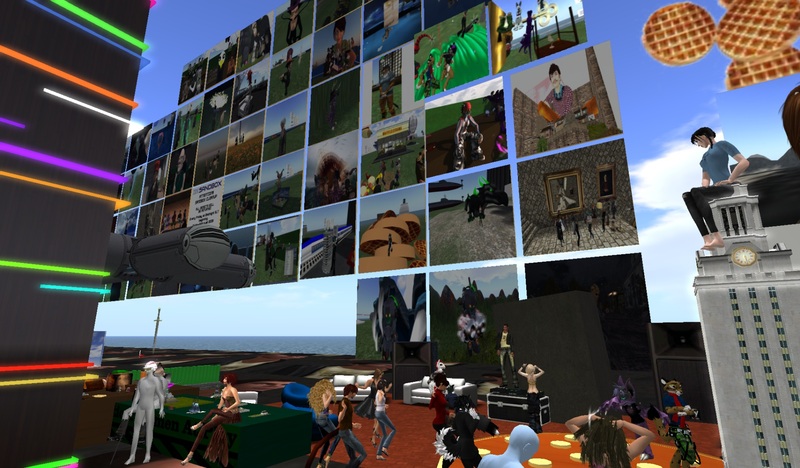 For me, one of the happiest parts was seeing all my SL friends who now spend a great deal of time in InWorldz. (/me waves hi again to Astra!) They came back to celebrate. For it WAS a celebration. Yes, there was sadness and regret, but there was so much joy and delight in recalling the good times, the successes, the people, and all the positives that flowed from these sims. Thank you again, Tez, PA and IBM. It was a great run. You brought a lot of good and joy into the world. We will miss the sim, but the sparks you lit will burn forever. Thank you so much Ahuva for making this a special day! It was so good to see old and new faces and will miss them all! Wait, what, party? No one told me! I even asked if there was going to be one. Sniff.